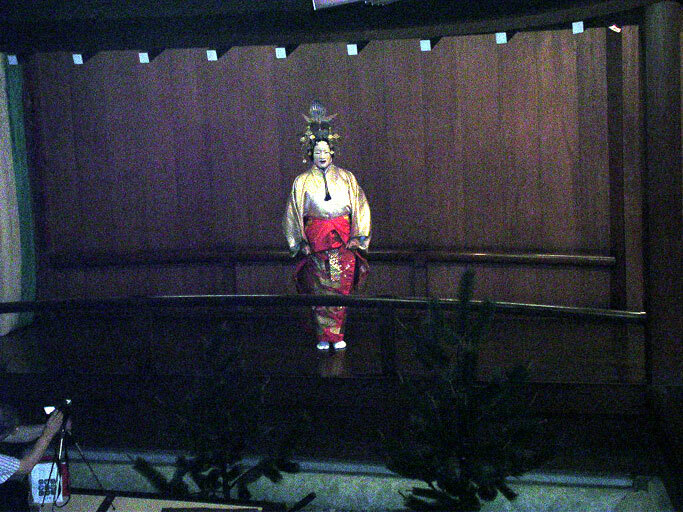 They recited the story of "THE MAD WOMAN AT SUMIDA GAWA"
Sumidagawa is the story of a woman , mad with grief, who goes on a journey searching for her lost son. She encountered a mysterious Ferryman, who tells of a boy left for dead, she finally finds his grave. His ghost suddenly appears but she cannot hold him before he returns to the tomb, leaving her weeping in despair. 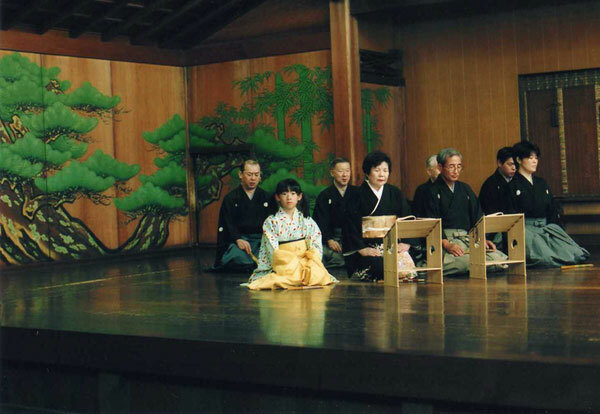 My impression: The classical Noh song's text is either sung or recited in an archaic and conventionalized, yet poetic, form of the language not easily understandable even to a Japanese audience. 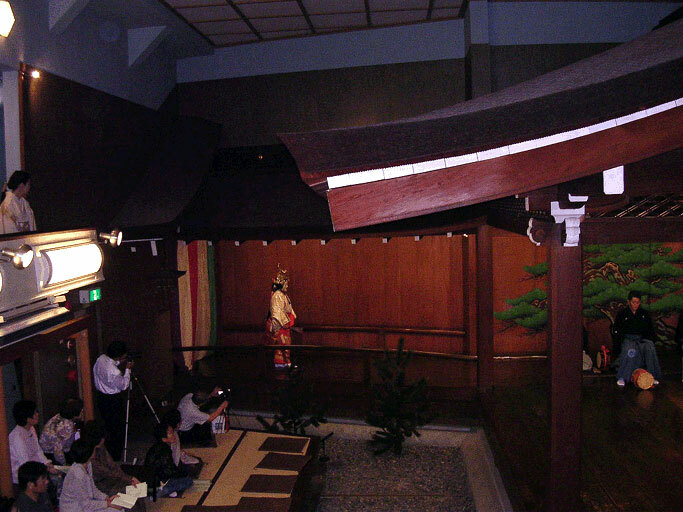 The Noh perfomance is accompanied by three or four musicians on flute and drums, as well as a small choir of eight singers. 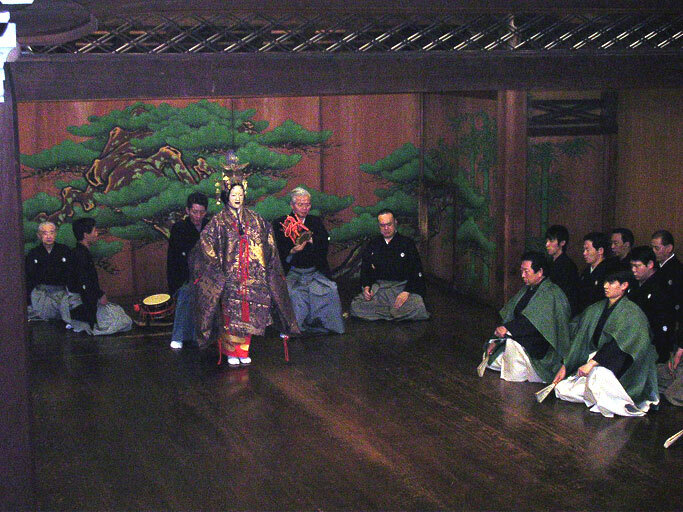 They performed the story of "The robe of feathers". So fantabulous! 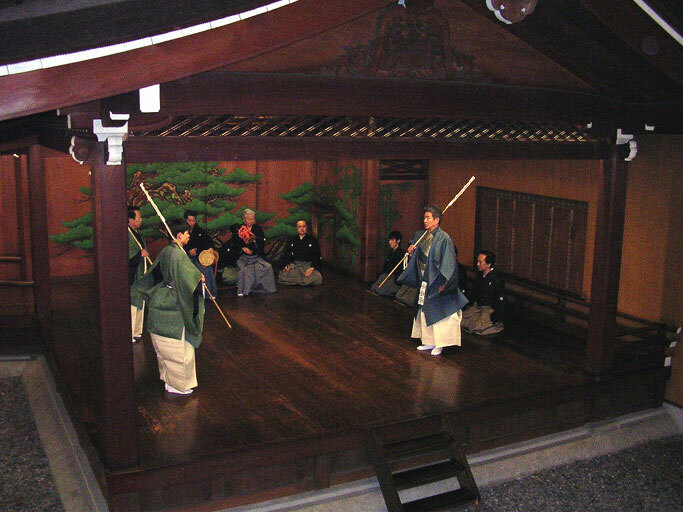 The chanting style of singing has a similarity of shomyo, traditional sutra chanted by japanese Buddhist monks. Guttural cries from the musicians are the interesting feature of the play.